Luckily we’ve not done anything terrible. We’ve not dropped her on her head, (although she did fall over from a pillow propped against the sofa in a perfect arc and knocked her head on the floor!). We’ve not left home without her, forgotten her in the car, supermarket or any other place, and we realised pretty early on that when a nappy Â bag Â says 3.5 â€“ 6kg it doesn’t mean that’s how much it can hold! 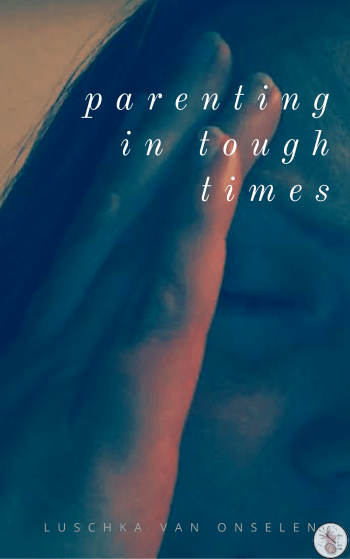 But there are so many things to feel guilty for when you’re a parent. My baby doesn’t have a pram and has to be carried everywhere. I make her go to bed around 7 every evening. She had a bleeding rash on her bum, and the serum I put on burned a little bit. She won’t have any family around her own age. She’s being brought up in a cold country in a flat with no garden. She can’t have pets. Â There’s so much to feel guilty for. â€œStuffâ€ aside, I feel guilty about the things I don’t know. I thought she was doing a weird shaky thing when she holds her head up, and I laughed at her for it. Turns out she’s not meant to even be able to do hold it up like that yet. Her skin gets all blotchy and red sometimes, and I thought it was milk spots. Turns out it’s a heat rash. We’re keeping her too hot. She pooed a poo that ran down her leg, over her cute bunny shoes and on to my jersey. We were in the car, so she just had to stay like that for the journey home. She doesn’t like dirty nappies. There’s so much to feel guilty for. Work contacted me today. They want to know if I’m planning on going back in January as per our original agreement, or not. If I go back, it’ll be part time. If I go back part time, I have to work two mornings a week to pay for the week’s Â morning only childcare. Based on my rate of pay as it was when I left, I’d have to then work two days a week to earn equivalent to what I’m getting for â€˜free’ on maternity pay. So I’d then be working five mornings a week to take home one morning a week’s pay extra than I’m getting on maternity pay.Â And my then three month old will be in childcare, out of my care, out of my control for twenty hours a week. There’s so much to feel guilty for. If I don’t go back to work, the burden of keeping our family financially afloat falls squarely on Martin’s shoulders. In London, that’s a huge responsibility. We’ll have to make many sacrifices: fewer holidays, less luxuries, less of whatever it is that make kids cost so much. There’s so much to feel guilty for. My mom told me today that you aren’t a parent till you feel guilty about something.Â And there’s so much to feel guilty for. I promise I’ll get out more if you promise to forgive yourself more. Try to limit your guilt to things Kyra is aware of, at least, like the dirty nappies. 🙂 All she really needs is you! I feel guilty that this is not part of a weekly column,cause i haven’t sent it in to a magazine yet. Please have these published !!!! !